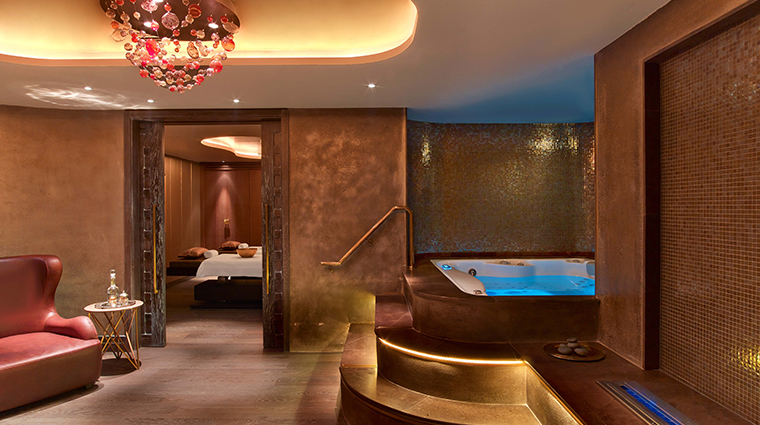 Offering impeccable style and high-quality services, Raffles Spa at Raffles Istanbul amazes with its immense size — the facility spans 32,000 square feet spread over an entire floor of the hotel dedicated to pampering. 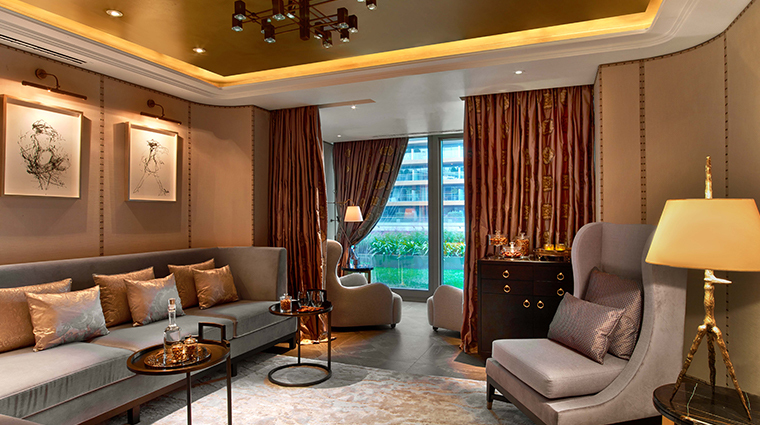 The generous use of space combined with carefully chosen artworks and ornate decorative elements elevate the sense of luxuriousness. 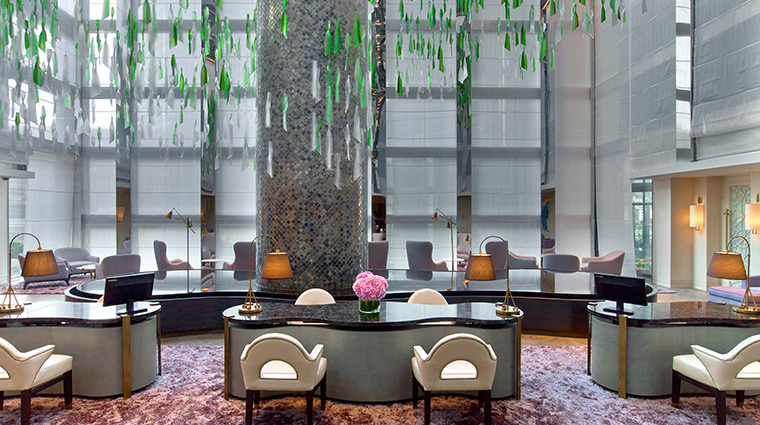 The lobby, for example, boasts a sky-high ceiling with swirling glass mobiles hanging from above that are supposed to remind you of flowing water. Once you step through the doors, you’ll want to while away the day at the spa oasis, unwinding and savoring the serenity that contrasts the world of business, commerce and shopping just outside. 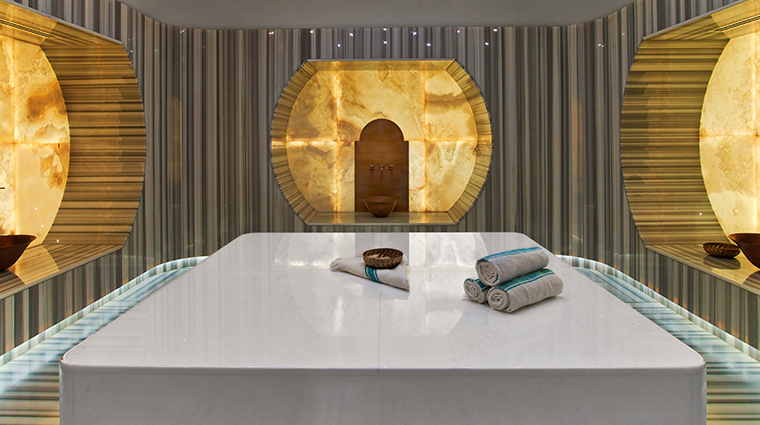 The use of light makes a difference throughout the Istanbul spa. Most of the areas let in natural light that gives the facility a garden-like airy feeling, while the private treatment rooms have a candle-lit coziness that radiate warmth and relaxation. The daylight-flooded indoor pool is exceptionally Instagram-worthy thanks to the ornate glass hangings that resemble floating jellyfish. They twinkle at sunset, creating a spectacle of light reminiscent of the sea sparkles of the Bosphorus. The Turkish hammam is a unique feature worth experiencing, and this luxury spa boasts three of them. There is nothing like laying on the heated marble platform and enjoying a foamy body scrub. Unique Turkish towels are specially woven for Raffles at Denizli, an inland South Aegean town famous for the quality of its textiles. A staff of highly experienced international therapists brings a wealth of wellness knowledge from its native countries (including Turkey, Indonesia and the Philippines) to enhance your treatments. One service Raffles Spa offers is only for ladies: the Bridal Hammam is a popular traditional ritual in Turkey, almost a social event for the bride and friends to celebrate the upcoming wedding. Snack on a spread of local sweets before your individual treatments, and then enjoy live entertainment (singing and belly dancing) with up to 14 of your closest girlfriends. The facility has two hair salons, one for ladies and the other for men, both run by Sabit Akkaya, a famous hairdresser in Istanbul reputed to work with local celebrities, models and fashion designers. While the spacious luxury spa can make you feel like you’ve got the facility all to yourself, the locker rooms can seem overcrowded if several guests are changing at the same time. 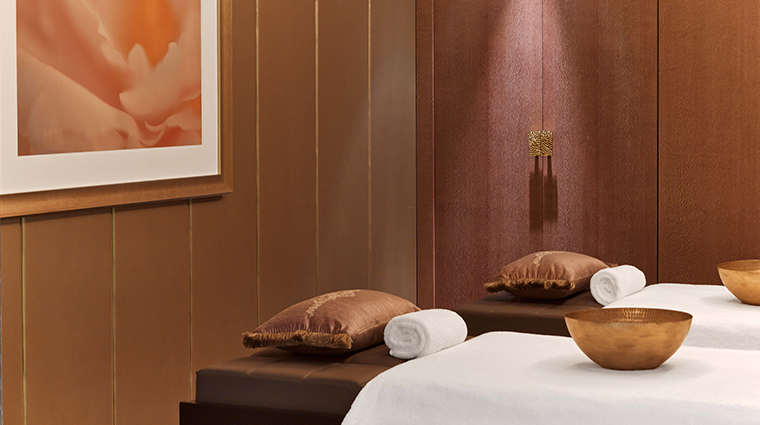 The Raffles Istanbul Signature Massage provides three massage oil options, allowing you to customize your treatment. The Ottoman oil is invigorating and stimulating, just right for a true Turkish experience. Twosomes should opt for the Couples Romance, which takes place in a private suite. After side-by-side massages, soak in your own Jacuzzi. To try out a hammam, book the Aegean Purity treatment. Rest on the heated marble slab for a cleansing and an exfoliating body scrub. An ice massage cools you down. Raffles Spa uses two luxurious skincare lines in its treatments: U.K.-based The Organic Pharmacy and Gazelli, which features the world-famous white oil of Azerbaijan. You can find products from both brands for sale in the spa boutique. There are nine private treatment rooms, including two couple’s suites, one of which has its own Turkish hammam, the other has its own Jacuzzi. While the treatment rooms are kept dim and cozy, some also have access to the outdoors, allowing you to take a breath of fresh air and relax in front of your room after your massage. The ice fountains are a great way to cool down after a stint in the hot sauna or steam room. Grab a workout in the well-equipped fitness center or head to the separate studio for a yoga or Pilates session. Sun-drenched vinyasas can be enjoyed on the grassy terrace as well. The shower experience is a fun amenity. Choose from four different water settings that come complete with sounds, smells and lights to transport you from a tropical mist to a raging storm.